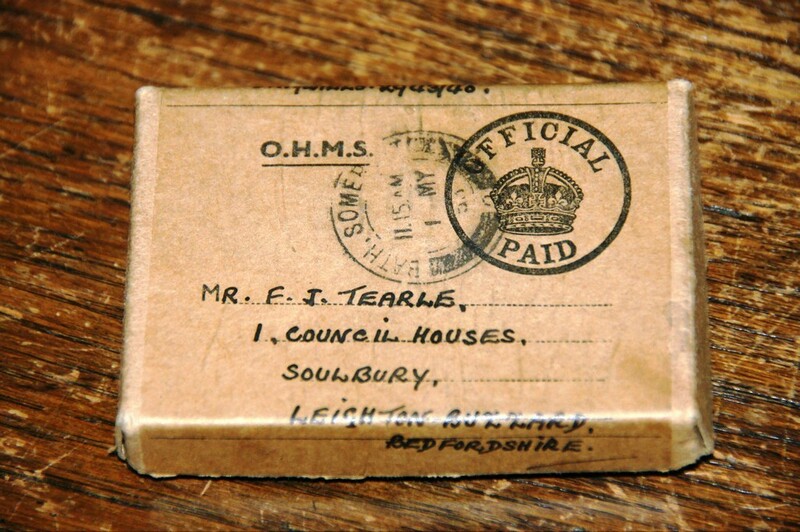 Additional information: Son of Frederick and Deborah Tearle, of Soulbury, Buckinghamshire. 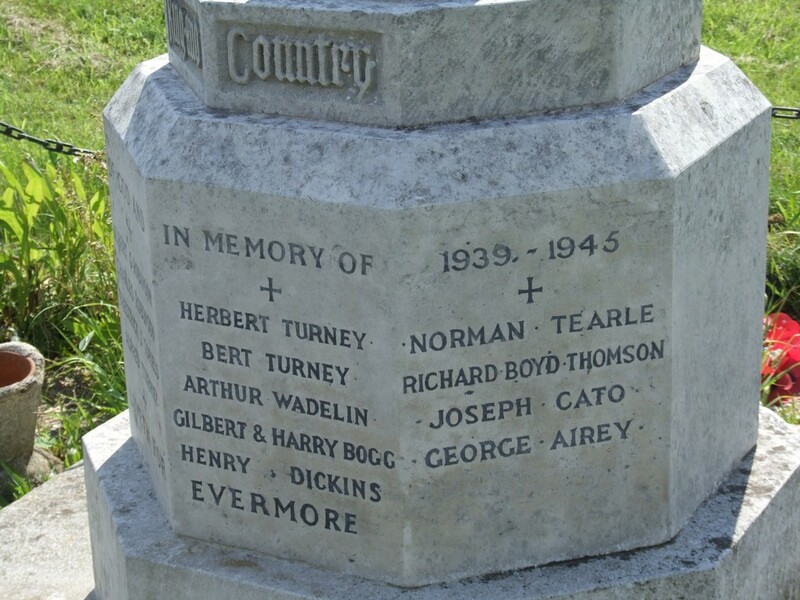 Norman Tearle 1919, of Soulbury, Buckinghamshire, was killed during the Dunkirk evacuation, also known as Operation Dynamo. 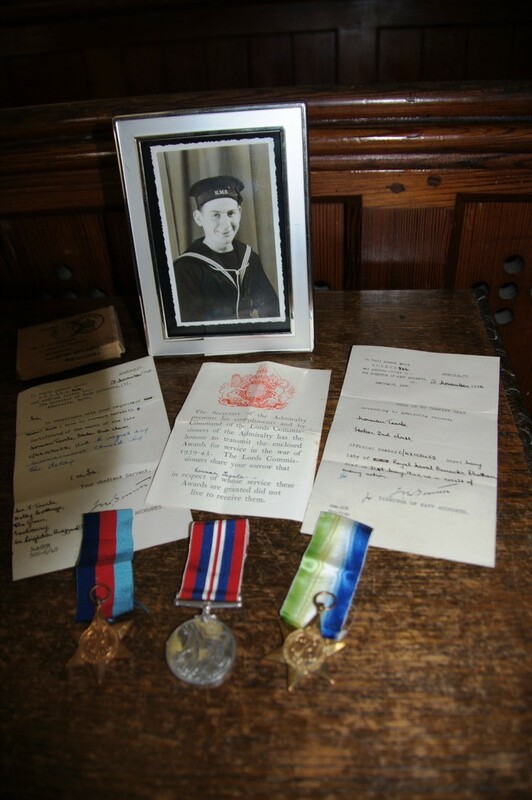 Although he is listed as sailing on the Pembroke II, in Chatham, Kent, that was simply his shore base, which he would have attended for training, and to which he would have returned when he was transferred from one ship to another. 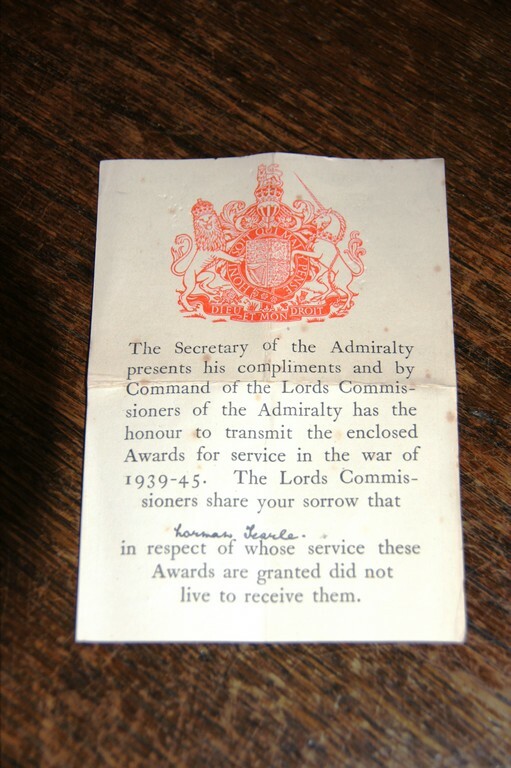 During Operation Dynamo he was actually on one of the “Little Ships” ferrying soldiers from the beach to the waiting transport ships. We do not know the name or type of boat he was sailing at the time. It was probably a sea-going fishing trawler, commandeered by the navy for this one purpose. 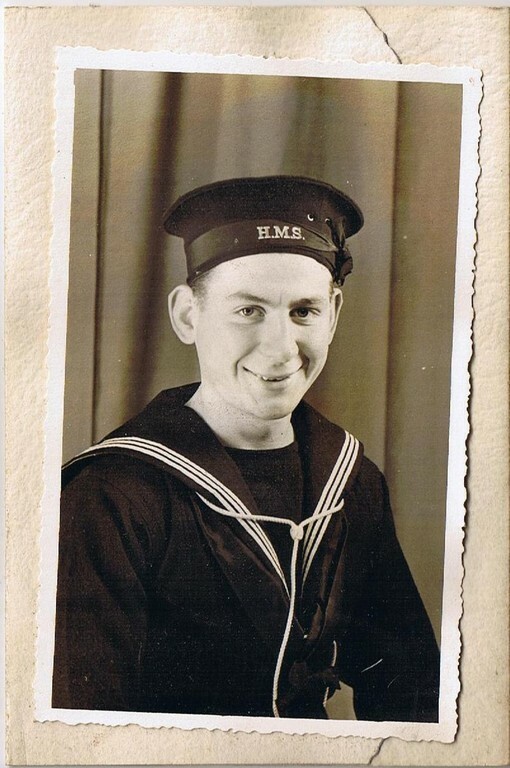 Norman’s navy service number is telling: C/KX 103452. The C/ refers to his base, Chatham, and K refers to Stokers and Mechanics, while the X indicates that he was engaged after the the new pay code of the early 1930s. 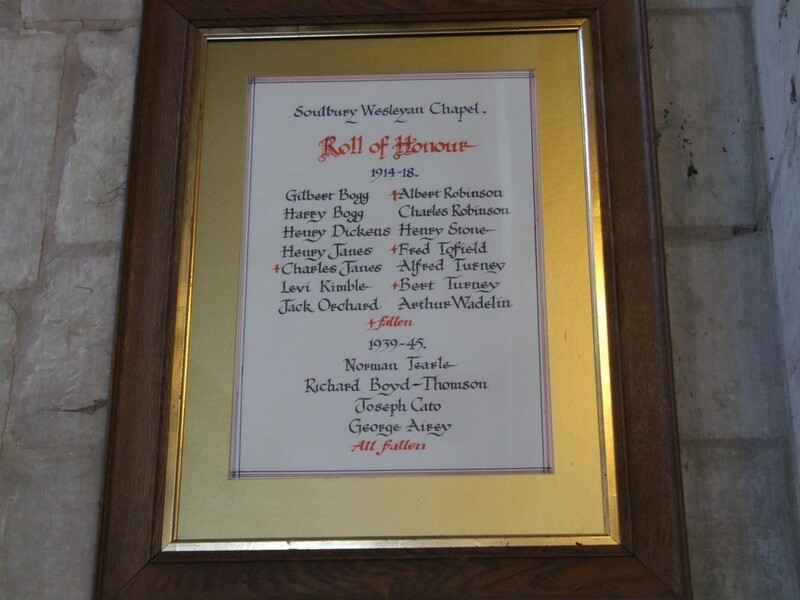 His parents were Frederick Tearle 1875 of Soulbury and Deborah Elizabeth nee Rowe. 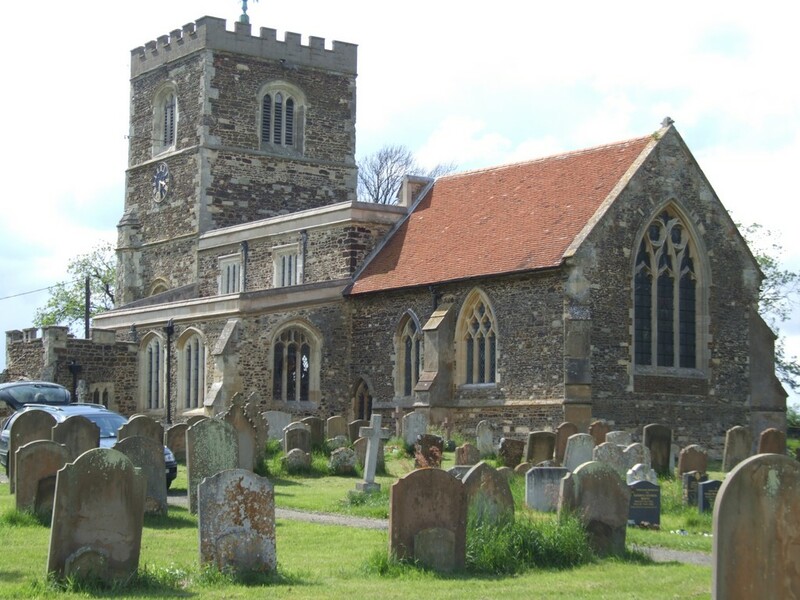 Frederick’s parents were Richard Tearle 1843 and Elizabeth nee Ellingham and the parents of Richard 1843 were Richard 1805 of Stanbridge and Martha nee Walker, the grandparents of all the Soulbury Tearles. Richard 1805 was the son of Richard 1775 of Stanbridge and Elizabeth nee Bodsworth, and his parents were John 1741 and Martha nee Archer. 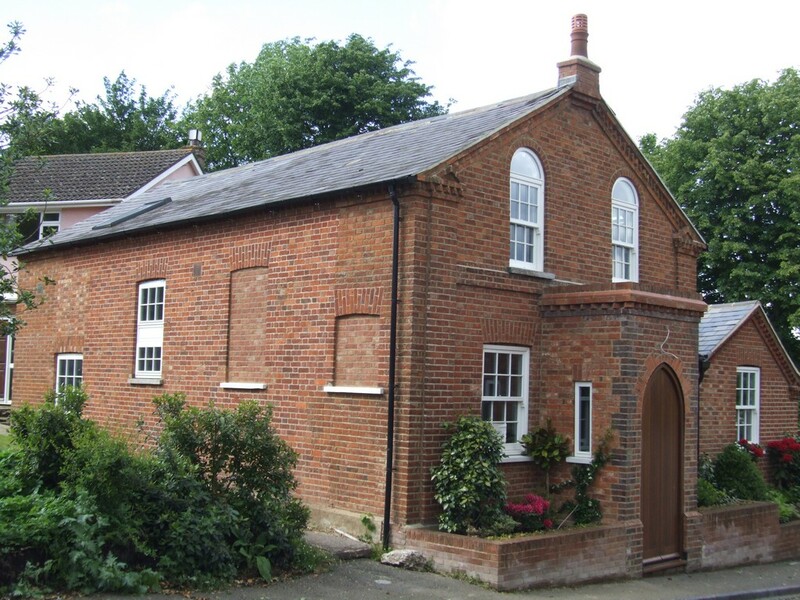 The Wesleyan Chapel is now a private dwelling, and the Roll of Honour was moved from this building to All Saints Church. We visited Oostende New Communal Cemetery, but first let me show you the reaction that Soulbury had to the death of its fine young men, including Norman. The next part of this post is possible only because of the hard work and a great deal of love, from Catherine Brunton-Green, Norman’s nice. She came to a TearleMeet with a beautifully prepared tribute to her uncle. 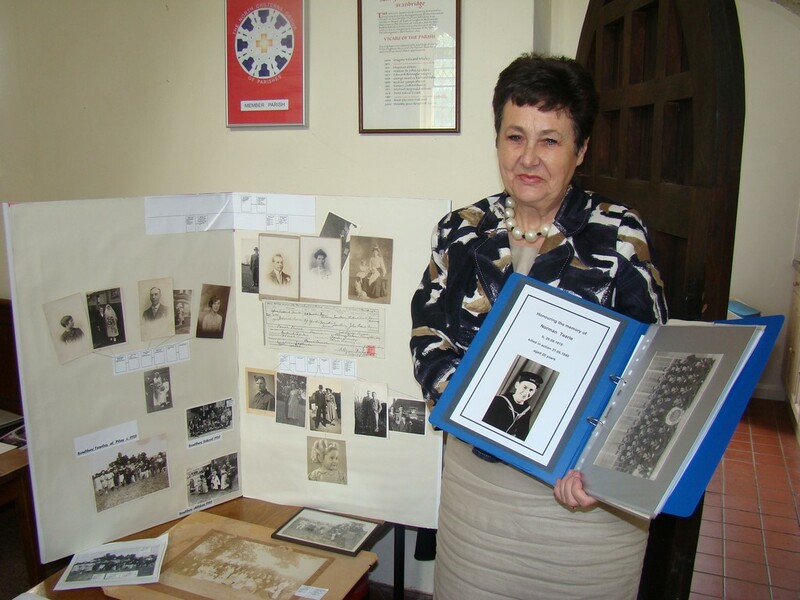 Catherine Brunton-Green with her memorial to her uncle, Norman Tearle. 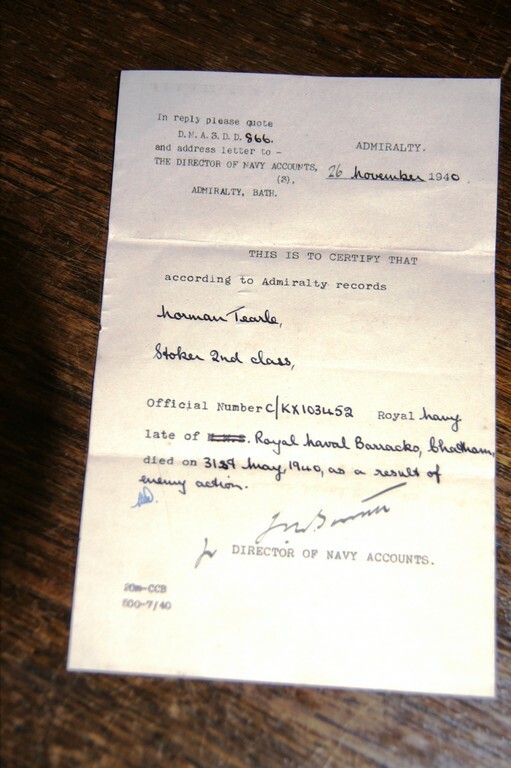 The notification of Norman’s death that his parents received. 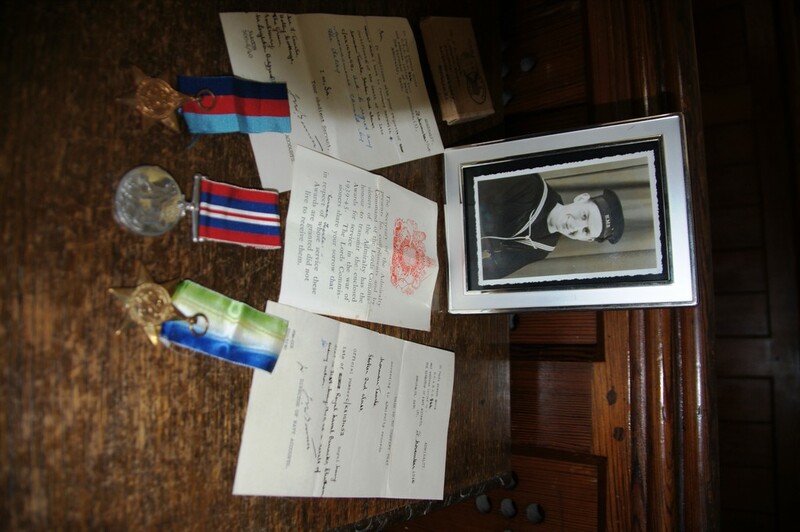 The box that carried Norman’s medals. 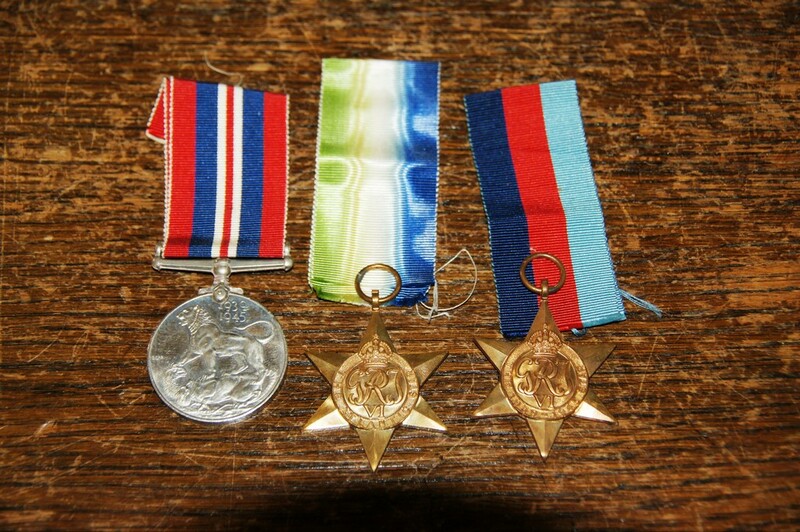 Letter that accompanied Norman’s medals. 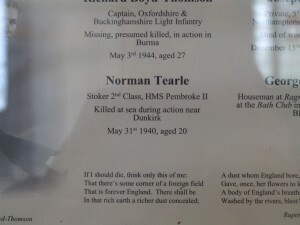 Display in memory of Norman Tearle. Here is the Oostende New Communal Cemetery. 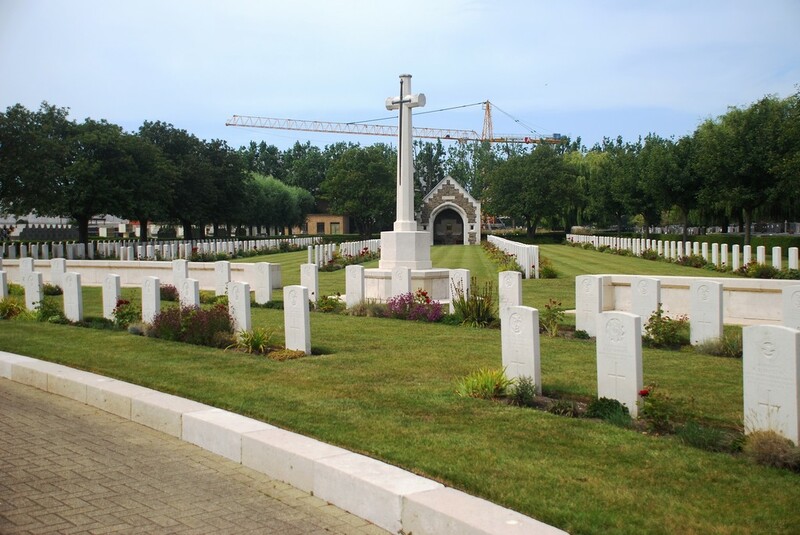 We took a bus from Ypres to De Panne and visited Edward Kefford William Tearle in De Panne Communal Cemetery, then we took the tram on the beautiful coastal route from De Panne to Oostende. The cemetery is a little tucked away, but findable with the help of the locals. We took the train back to Ypres. CWGC Great Cross in Oostende New Communal Cemetery. It is, as always, beautifully laid out and maintained. 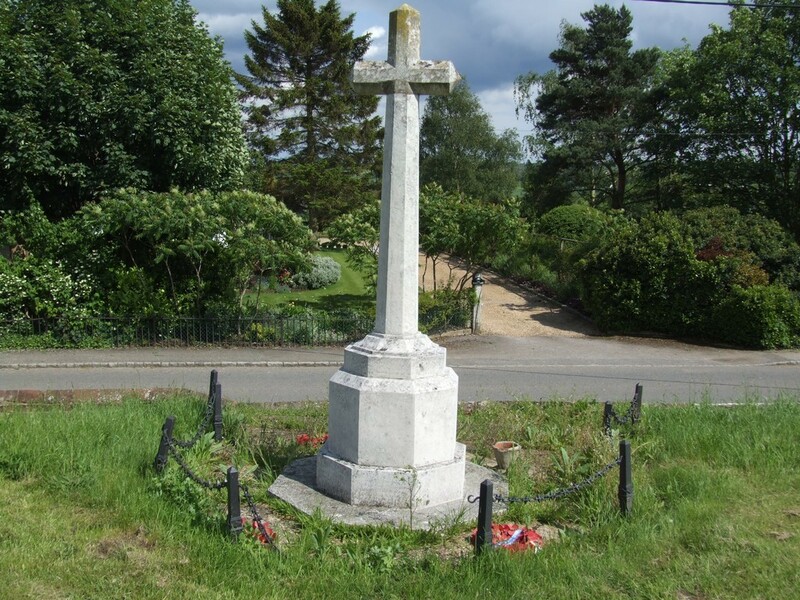 In the little building behind the Great Cross there is the book containing all the names of those killed in this area, as well as a book to write a short note about or even to, the soldier whose grave you are visiting. Norman, even though he died at sea, has a headstone in this cemetery, which means his body was recovered and he was given a military burial; if not immediately, then when he was interred here. 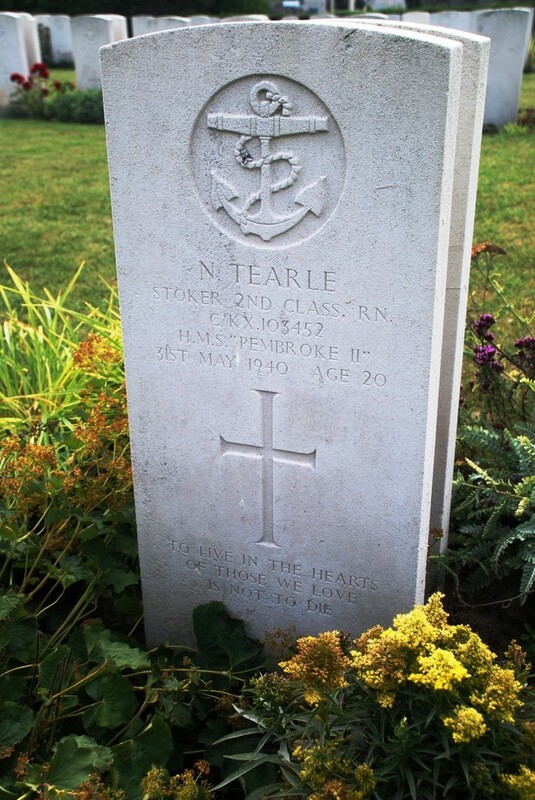 Norman Tearle C-KX 103452; Oostende New Communal Cemetery. The inscription at the base of the headstone reads “To live in the hearts of those we love is not to die.” It is a fitting tribute to a fine young man, for whom Catherine has worked tirelessly to keep his memory alive. 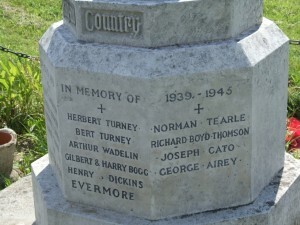 Finally, it is well to note that Norman is related to the other Soulbury Tearles who were killed in WW1 and WW2. I have summarised this in the article on Edward Kefford William Tearle, who was killed on the same day as Norman. Edward was killed fighting a rearguard action on the shore-side of Dunkirk to keep the Germans at bay, while Norman and his Little Ship were busy transporting British and French troops from the beach of Dunkirk to the waiting warships. 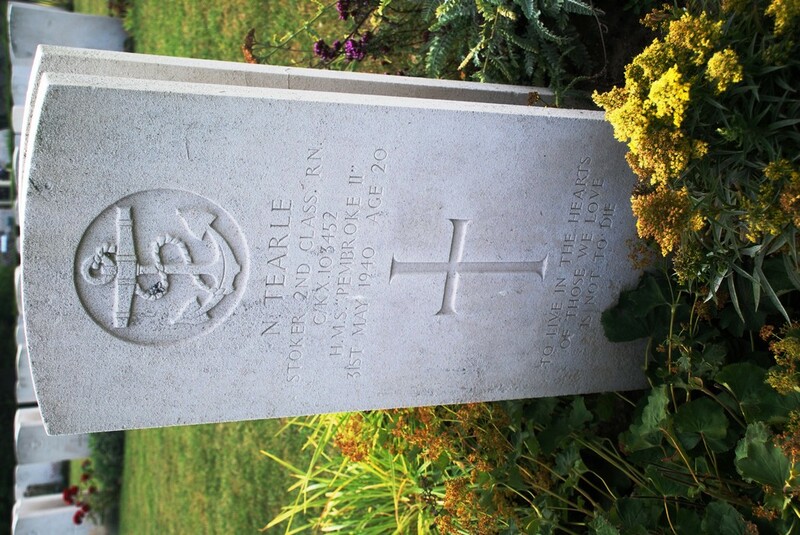 Norman is also related to Leslie James Tearle of St Albans, who was killed in France in WW1, as well as John Henry Tearle of Hertford, who was killed in Gallipoli. All the Soulbury Tearles (including Norman) are on the branch of John 1741.